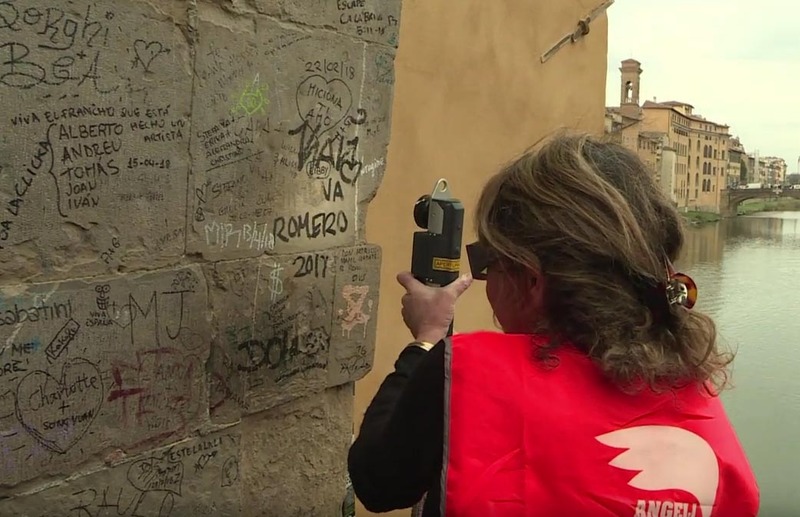 A laser for restoration has been used to vaporize graffitis from Ponte Vecchio in Florence. The well-known monument in Florence historical center was covered in graffitis scribbled over the years by visitors. to their former glory. The laser has been designed and built by Light for Art, the division of El.En. group specializing in laser system for the restoration of art works.